North of Alamogordo on Hwy 54 sits a giant pistachio nut. The nut is 30-feet tall, anchored in the ground with concrete 4 feet in diameter and 9 feet down! This sculpture was built by Bar M Construction and is covered by nearly 35 gallons of brightly colored paint. 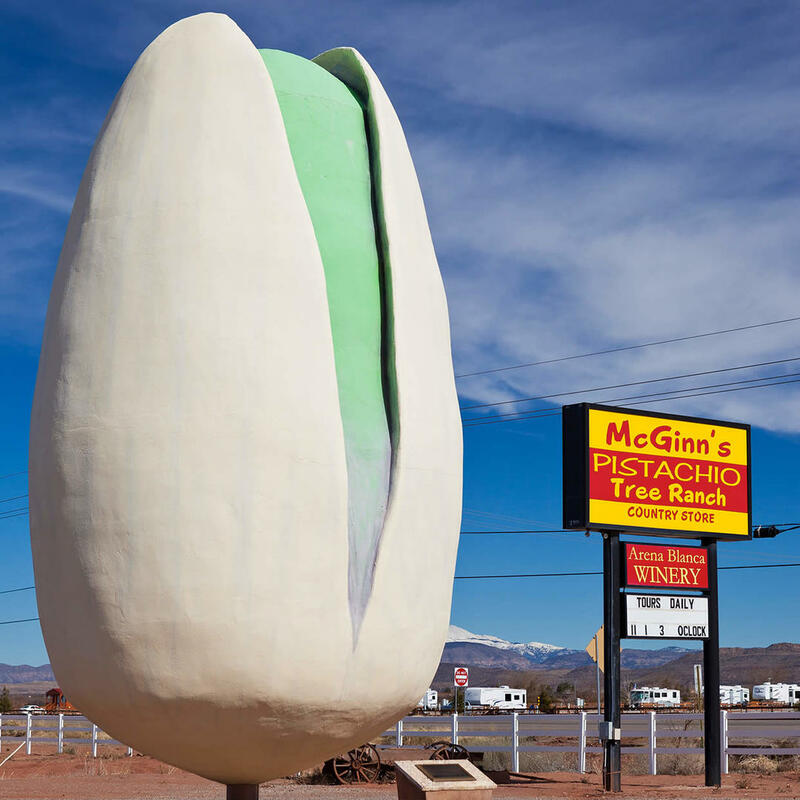 The giant pistachio sits in front of McGinn's Pistachio Tree Ranch for whom it honors the late owner, Tom McGinn, with a plaque at its base. And, there's also a gift shop.